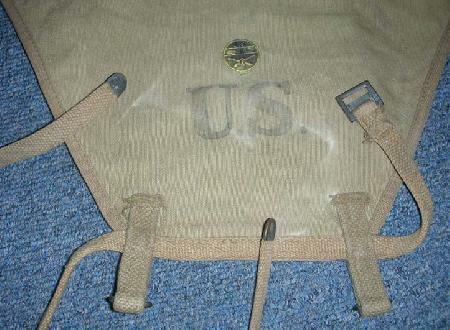 This pack tail is the (3rd Pattern) M1910 pack tail. 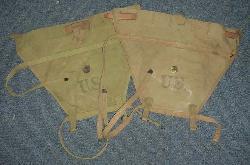 These were used to extend the standard M1910 packs. This was basically the last major pattern produced. These will generally be a tan or khaki color. Most will retain 1917 0r 1918 dates. See UF-340 and UF-341 for the earlier patterns. These tails will be generally in good to very good condition. 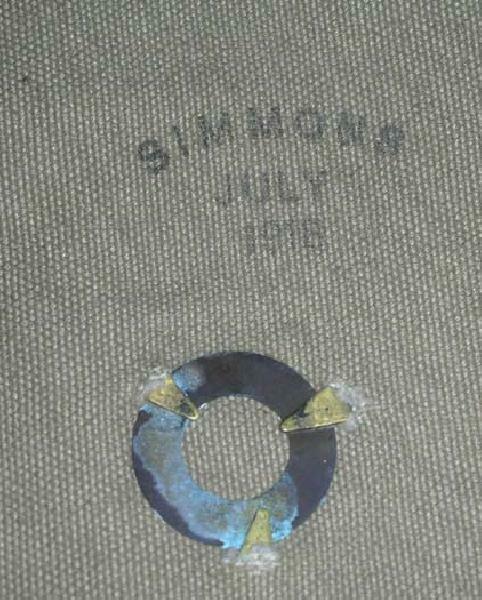 Some may have unit markings or unit ID discs attached. Some may have some minor staining but nothing that detracts from the overall appearance. All examples will include the leather strap to attach the tail to the pack, however leather may be stiff and needs to be treated. Photo shows typical example shown. The pack tails will be our pick but we will try to pick you out the best pack tails first. So order early!